Lens Body has scuff marks and scratches totally. It is no effect on your picture quality. AB Excellent. Compared with "AB", there is only a few scratch and/or removing the paint. It may be exceptionally nice condition. Exc condition. tiny scuffs from normal use. It works properly. ■ Functional. There is no separation. I send a product by EMS. Lens has no balsam separation. This item is in As Is condition. This item is sold out everywhere in Japan and very hard to get it! However,I will provide courteous and responsive service. The shutter speed is not accurate on slow range. · Lens exterior - Little scratch and sense of use. ( See Photo ). · Lens glass and mount is good - No Fungus, Haze, Scratch. · Include Front and Rear Cap, Filter. · All functions operate properly. Mount Type: For Hasselblad 500 Series. Lens is fairly clean. It has a few tiny dusts. When light is hit, there are thin haze (like very tiny dots) & a few thin scars (like polishing mark) on inside of the middle lens. Excellent ! The state is superior as used goods. Condition Grade Excellent . 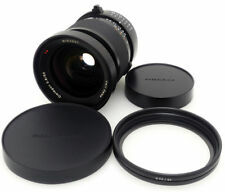 Includes Front cap,Rear cap,Lens filter,Instructions,Box. We clean every product carefully and confirm the function by loading a film and taking photo. Grade:Exc . I send a product by EMS. The mount is almost clean. The ring of the lens is very smooth. The accessories which do not appear in the photograph are not attached. Lens 7044158. Lens condition. Mark in the lens. Item location: JAPAN. Not includes:lens hood,lens filter,manual,box. Lens S/N 7201223. Excellent condition! What you see in the picture is what you get. Our Products are 100% Authentic. Near Mint! Original Box. You can take beautiful photos! I send a product byEMS. No fungus. 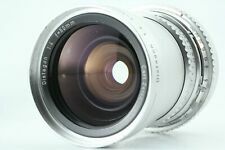 Lens 7264574. Lens condition. Mark in the lens. 93-94% Mint Minimal sings of use, Still very clean. 97-98% Mint Never used, but pre-owned. 95-96% Mint Almost no signs of use. 80-85% For Parts As-is. As required by individual countires. Minimal signs of used. Never used. C With heavy signs, but works. B- EXCELLENT-. With apparent signs of used, but works well. I participate in Japan. So I can provide you with the best service. Original BOX. tiny scuffs and dent from normal use. Hood adapter. Nr 6113305. ■ Serial Number. All works properly! ●● 【 RARE T ! tiny scuffs from normal use. Our Products are 100% Authentic. Lens,Rear Cap,Front Cap. It works properly. ■ Functional. I send a product by EMS. There are very small dust inside the lens. Lens S/N 7147302. Not includes:lens hood,manual,box. Excellent condition! Our Products are 100% Authentic. Front Lens has scuff marks and minor scratches slightly, and inside the lens has a mote, however it is not effect on picture quality. Lens Body has minor scuff marks and scratches in patches. It is no effect on your picture quality. ・Grade: Top Mint. It works properly. Aperture blades work smoothly. I send a product by EMS. Tiny scuffs from normal use. ■ Functional. Pre-owned, Like new. There is no fog. Beautiful condition. I send a product by EMS. A 0(9). Item was just as described.". i n(10). "Item arrived early, in the described condition. n 0(6). I send a product by EMS. [Very Good] Hasselblad CF 50mm f4. C Junk Restoration required, parts may be broken or missing. A Near Mint Pre-owned, almost no signs of use. Condition Very Good. Focus –No problem. B AS-IS Works okay, with heavy signs of use. Excellent Minimal signs of use, excellent condition. Condition : Excellent. We will do our best to find it for you. We do not expect our mistake to be your problem. 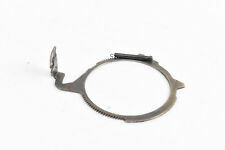 Although we strive to discover and describe any issues or problems with an item, we can make mistakes. From Japan 876t. Front Lens Cap. This item is sold out everywhere in Japan and very hard to get it! Rear Lens Cap. Shutter works at all speed. tiny scuffs from normal use. I send a product by EMS. ・Grade: Excellent . ・Optical system. Lens Filter. Rear Lens Cap. From JAPAN. tiny scuffs from normal use. ■ Functional. I send a product by EMS. Usefull Link. This Dust will no effect your picture quality. Optics: No scratches, no fungus. Why Choose Us ?. Restoration required, parts may be broken or missing. Works okay, with heavy signs of use.